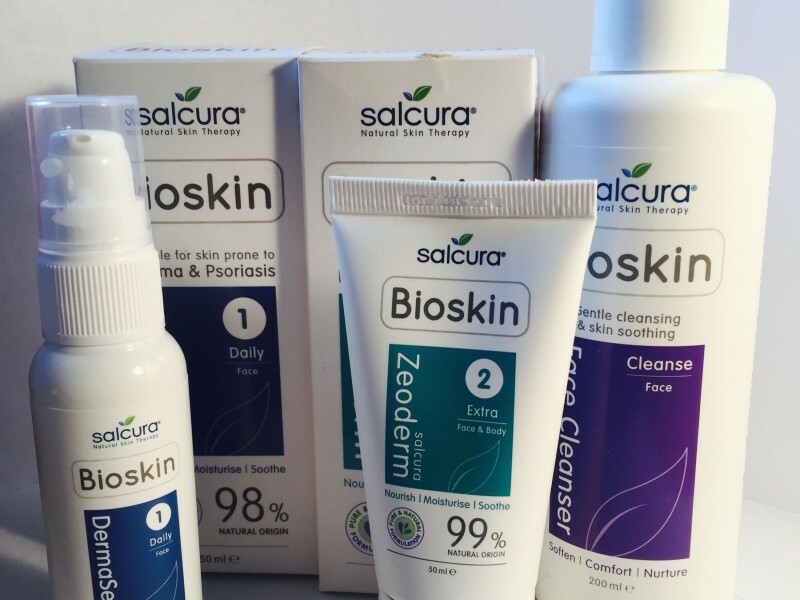 When Salcura offered to send me some of their skincare products to try, I’ll confess that I hadn’t heard of them, their range of Natural Skin Therapy Products for sufferers of eczema, psoriasis, dermatitis, itchy & dry skin was an area I was unfamiliar with as I was lucky enough not to have suffered from any of the above. With normal to combination skin, I avoided what I saw as the medicated creams section, having always been attracted to fancy packaging, promises of younger looking skin, and enticing words such as anti-wrinkle, renew, firm, lift, hydrate etc. I was prepared to splurge on my skincare, to get the very best, as you always get what you pay for right? My initial thoughts were, I’m not sure that these natural products are for me. 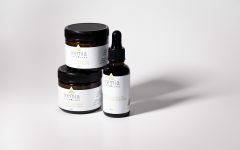 Salcura products are made in the UK, they use only high quality, natural ingredients, no harsh chemicals, the packaging across the entire range is very plain, no frills, no gimmicks. I tried out the following products, as a 3 step process, every morning and evening. Orange in colour, the Bioskin Face Cleanser has a very smooth, relatively thick consistency that sticks to your face, making it easy to apply and lather without any drips. The pleasing scent of zingy pink grapefruit and other essential oils is delicate not overpowering. Although at first this seems a little expensive for a cleanser, you really don’t need a lot, so the 200ml bottle will last for ages, apply to wet face, lather and rinse with warm water, leaves the face feeling soft, smooth and oil free without drying out. In complete contrast to the face cleanser, the Bioskin DermaSerum has a strong aroma of eucalyptus, peppermint and lavender which hits you immediately; it awakens your senses and is extremely refreshing and uplifting, particularly first thing in the morning. The light gel formula makes it easy to apply and allows you to target specific areas such as around the eyes, the 50ml pump applicator bottle allows you to use only a small pea sized amount at a time, so there is no waste, and as with the face cleanser, this goes along way. Suitable for face and body, the Bioskin Zeoderm Moisturiser has a thick consistency, although it is not creamy or oily and is quickly absorbed, it’s not the best colour, a sort of browny/greeny/grey but then it is all natural, to me it didn’t really smell of anything but it had almost a clay mask like warming effect when applying to the face, it felt like a rich spa treatment and left my skin feeling extremely soft, moisturised and hydrated. I also applied the cream to my legs as an after shave balm and it was incredibly soothing, instantly reducing any redness and softening dry areas. I used the 50ml tube, however if you were going to use it for the face and body you would want to go for the larger size (150ml). Although Bioskin products have been designed for those prone to more severe dry skin conditions, the products can be used by anyone looking to make and keep their skin healthy. After using the products for 4 weeks, I was suitably impressed and saw noticeable results; overall my skin felt softer, smoother and had no blemishes. We are often drawn to fancy packaging and clever branding when what we should really be looking at are the ingredients a product contains, it’s suitability for our skin type, value for money etc. Natural Skin Products tend to be disregarded by most, but remember it’s what is on the inside that counts. Salcura’s products may not look as good sat on your dressing table but the compliments on your fresh, brighter looking skin will more than make up for that.